As your community grows, it can be difficult to schedule Meetups and manage communication by yourself. Distribute the workload: Additional leaders allows you to delegate organizing responsibilities. Encourage collaboration: Having more leaders empowers them to learn leadership skills and builds trust in your community. You decide how many other leaders you need and what responsibilities they should take on. Your co-organizer(s) are your second-in-command. They embody your Meetup’s mission entirely. If you want to put a co-organizer completely in charge of a local Meetup, it’s important to establish a vetting process. All co-organizers have permission to contact the other members, and change your Meetup’s appearance and privacy settings. Much like Co-organizers, Assistant organizers represent your community. Ideal Assistant organizers collaborate with the rest of your leadership to plan Meetups, maintain active communication, and encourage a friendly and warm community. Assistant organizers are able to contact all members, but they’re not able to change or manage your Meetup’s appearance, privacy settings, or finances. If you find someone that has great Meetup ideas and would be a thoughtful host, consider making them an Event organizer. Event organizers should be members that understand your Meetup’s vision and will only schedule Meetups that align with it. Their permissions are limited to managing the calendar and contacting members online, but they need to be people you trust at IRL Meetups too. Some of your members may tell you they want to be on your leadership team right away. In some cases, you’ll have to ask potential leaders yourself. Do they represent your Meetup’s values? Find members that start conversations. Do they contribute lots of ideas for Meetups? Great leaders share actionable ideas and suggestions. Who are your consistent cheerleaders? Pick them. You can find the steps to granting a member a leadership role in our Help Center. Creating your Meetup group is a great accomplishment. Keep up the momentum — you want a community, go find them! Meetup’s new group announcements go out to members who have expressed interest in those topics you chose while you were creating your group, but that doesn’t mean those are the only people who would be a good fit. Share your Meetup on other sites — for example, if you’re an active member of a video game discussion group, let people know you’ve started a Meetup for IRL gaming. Google and other search engines crawl and record billions of public web pages, including Meetup. Just like you use Google, Bing, or Yahoo to find a variety of people, places, and things, the right members for your Meetup are out there googling for their community. Make sure they can find you. 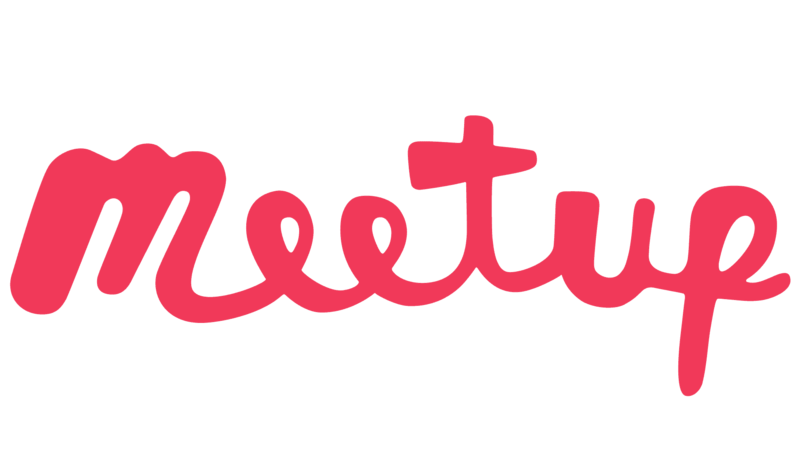 Link to your Meetup’s social media pages — if you’ve made an Instagram or Twitter handle for your Meetup, make sure it links to your Meetup’s homepage. Have a clear description — your opening line should be one sentence that says exactly who your community is for, before you share the rest of the details. If you find yourself buying all your hiking gear at a particular store, ask them if they can hang a flyer for your Meetup’s outdoor adventures. If you’re looking for other musicians for your jam sessions, ask some music organizations if they’ll share a link to your Meetup in their newsletter. Use your active members as your Meetup’s mouthpiece — ask them to bring friends along and keep spreading the news. Schedule plenty of Meetups — an active Meetup shows prospective members that your community is real, and they’re making an impact. Give them plenty of opportunities to be welcomed into the fold. Keep in mind, it’s common for Meetups to start small and form a tight knit community. Stay focused on your members, and you’ll keep finding your people. Your Meetup is on the calendar and people are coming! How do you get them to actually show up? Communication is key: Let your people know you’re excited to spend time with them. Post comments on the Meetup’s page. Ask questions: What brews are you looking forward to tasting? Has anyone hiked this trail before? Get the conversation going before you even see each other. Let new members know there’s a Meetup coming up. Tell first-timers you’ll be looking for them and make sure you’ll know how to find each other. If they know you’ll be there with the welcome wagon, they’ll be less likely to bail. Contact everyone that said they’re coming. Remind them you’re looking forward to debating the merits of the cold brew vs. pour over or that your new boots are ready to be broken in. Balance your communications. Everyone has a full inbox — if you’re communicating too much, your most important messages will get lost (or your members may choose to not receive them at all). Keep it to one or two messages before a Meetup. If you get occupied running the show, ask your more outgoing members to help look out for newcomers. If you have a leadership team, this is a great time for them to step up and help show your community’s values. Share photos afterward to celebrate the cool things you did or the new stuff you learned. Ask for ideas for the next activity and have another Meetup on the calendar for the newly-inspired to attend. How do I get people to show up? On Meetup, there’s no standard model for a successful community. Great Meetups look completely different, but there is one common thread: Meetups bring people together. A Meetup can be many things — it’s a tight-knit group of five members who discuss a novel they’ve been reading, a group of fifty new runners training for their first race, dozens of entrepreneurs looking to learn from one another, or almost anything else you can imagine. Success means something different to every organizer. Decide what it looks like for you. Do you have specific expectations you want your group to accomplish over time? These could be anything from running your first marathon to starting a business together. Perhaps you excel at a skill you want to share with the world. Your Meetup can inspire others to try yoga, learn to paint, become a better public speaker, etc. Other Meetups are born out of shared interests or common experiences. Your Meetup can be the social spark that brings other true crime fans, sports junkies, or expatriates together in real life. What’s the ideal size for your Meetup? Maybe you want to create intimate conversations and trust with a few people, or perhaps you want to keep onboarding volunteers to drive your Meetup’s mission. Your goal could even be to create a community that ignites other communities across the world. Think about scaling your Meetup, and how to create powerful Meetups no matter who shows up. What kind of organizer do you want to be? Some organizers function like a ship’s captain. They share knowledge, own every Meetup, and plot an exact course so everyone achieves their goals. Others create leadership teams and work with their trusted members to plan and schedule Meetups, ensuring everything they do is teamwork. Your original vision of your Meetup may change as your community grows and evolves, but it should inspire each decision you make. How do I make my Meetup group successful?